The editorial team of the LB.ua website is proud to announce the launch of the English version of the site. 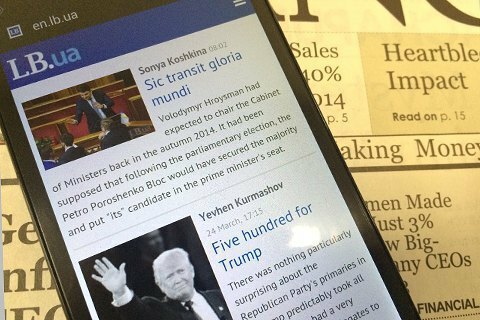 The most current news about Ukraine, as well as the author articles are now available in English - along with Russian and Ukrainian version. The permanent address of the English version is https://en.lb.ua/. Feel free to submit you proposals and recommendations on the work of the website to english@lb.ua.